Operation: Operated manually: 2 movable panes which are slid in both directions, leaving the middle segment open. Characteristics: Tempered glazing, 10mm thick, discreet aluminum profiles, manual operation, with the glass-board operating as a counterweight. A wide range of applications is possible, mainly in restaurants, cafeterias, cantinas etc. Ideal for the coverage of opening with sliding glazing. Smart choice of materials: High endurance, lasting materials, which offer perfect protection to the enclosed space. 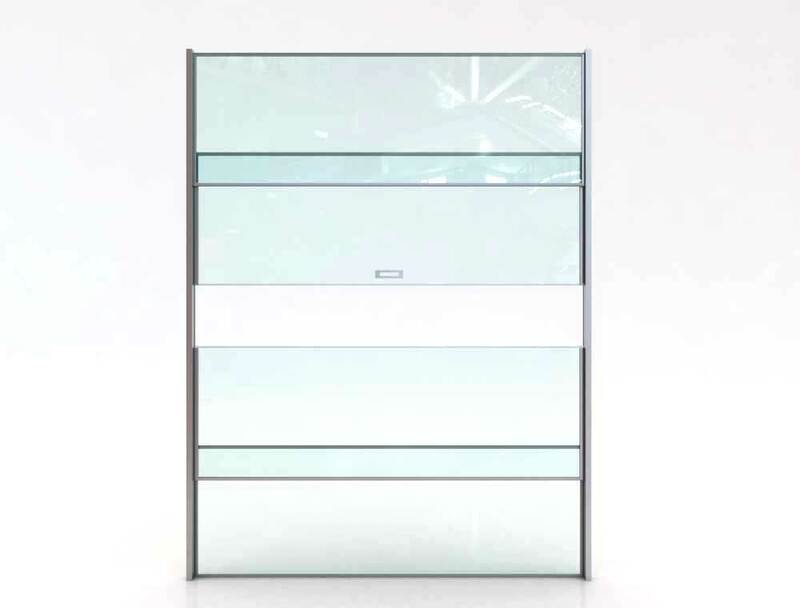 Minimalistic aesthetics: Simple, contemporary design which maximizes the glass surface.